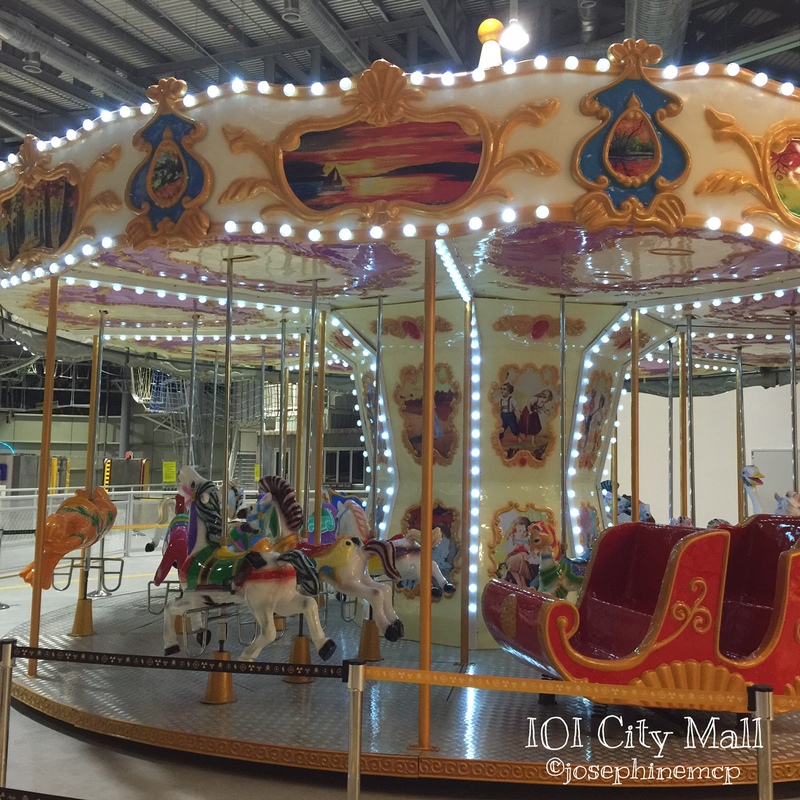 IOI City Mall is a brand new lifestyle and entertainment mall for all especially to those are located in Putrajaya and it has just opened on 20 Nov 2014. IOI City Mall consisted of two green office towers and a 5-star business hotel. Costing RM1.5 billion on 33.5 acres of land, with 1.4mil sq ft of nett lettable area supported by more than 7,200 car park bays over 3 basement levels. 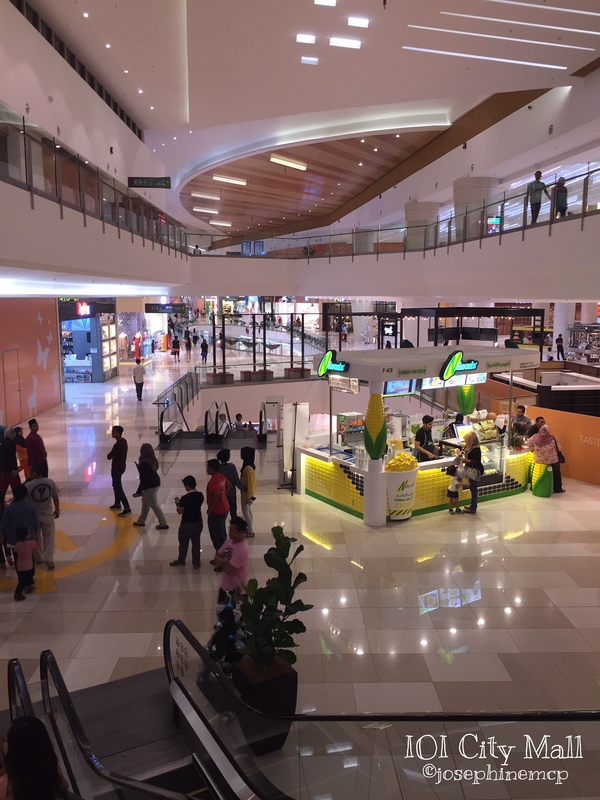 IOI City Mall has total four levels with 350 specialty shops, anchor tenant includes of Golden Screen Cinemas, Parkson and HomePro. 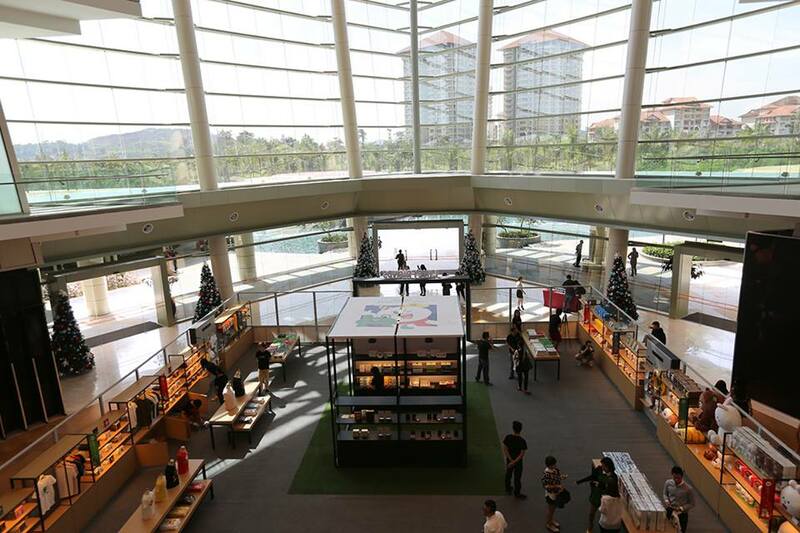 Other highlights of the mall is the Olympic size skating rink – Icescape Ice Rink and indoor entertainment park called District 21. 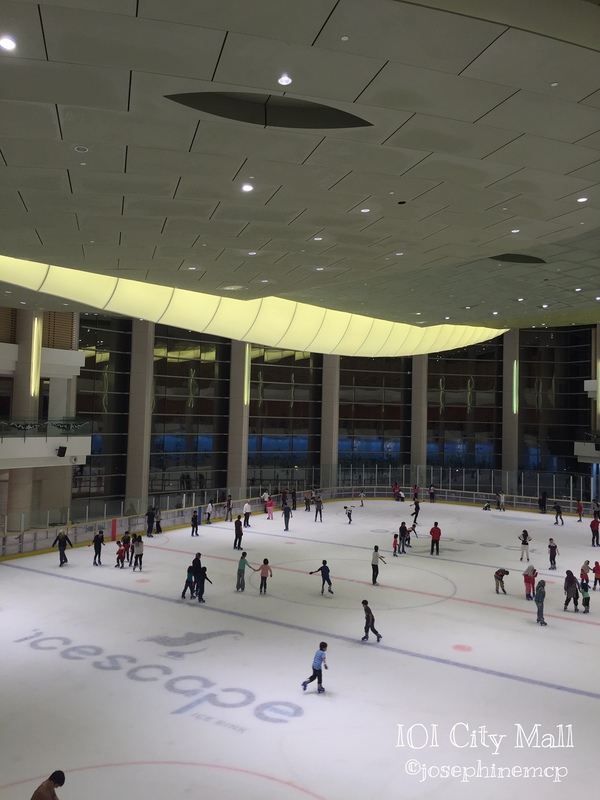 Residents who are staying in Putrajaya no longer need to travel to Sunway Pyramid for ice skating anymore. 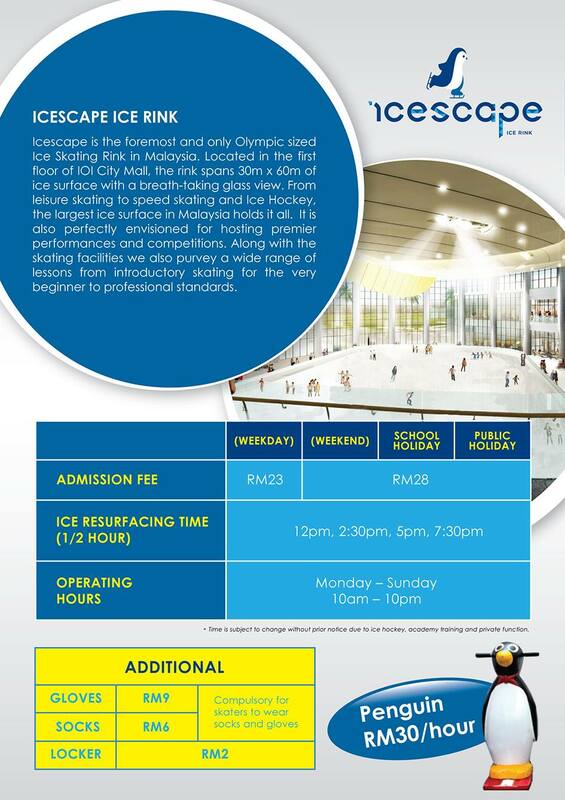 IOI City Mall has one called Icescape Ice Rink which is said to be the largest ice surface in Malaysia. Located at the first floor of the mall, the rink spans 30m x 60m of ice surface with a breath-taking glass view. 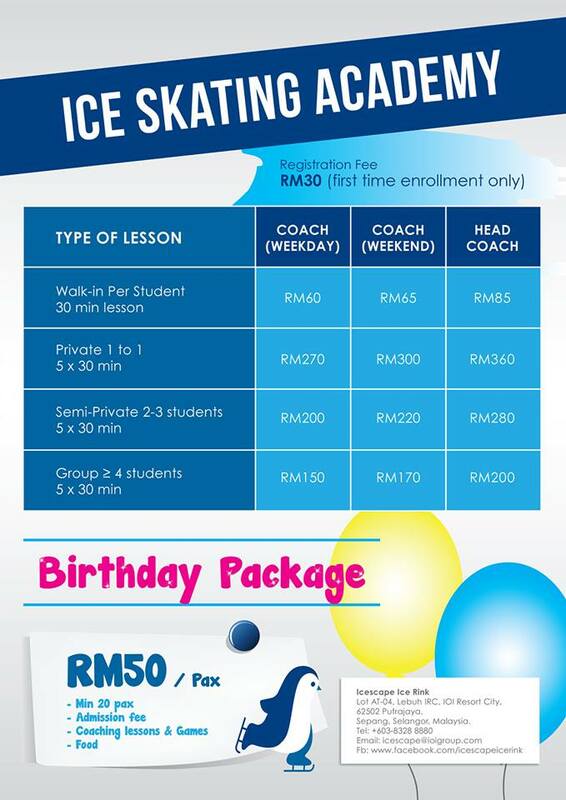 The fee per entry is from RM23 – RM28 and you will able to learn ice skating at this new ice rink in town. Don’t know how to skate? Don’t worry! Penguin skate is available at RM30 per hour for the very beginner to professional standards. One to one basis. Own gloves and socks are allowed and it’s a MUST to wear in Icescape Ice Rink. Located in a 70,000 sq.ft. indoor atrium in the mall, District 21 is a action theme park. 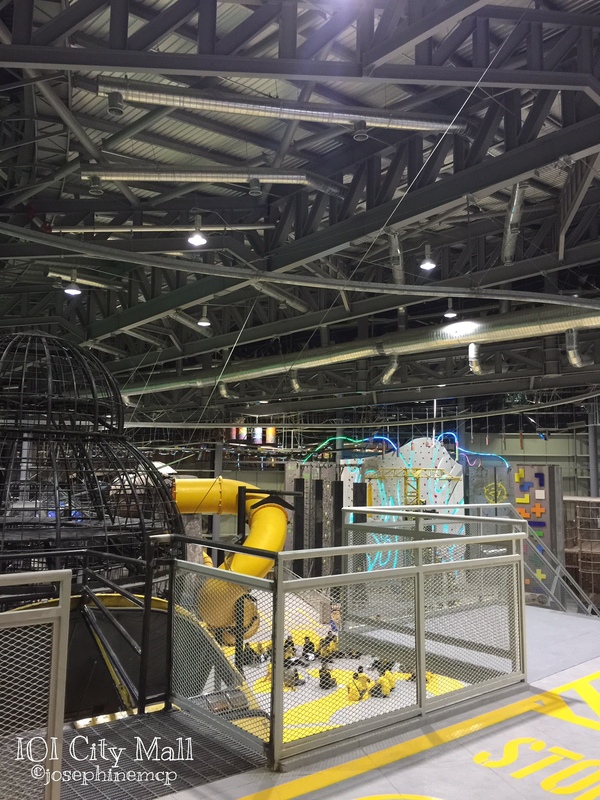 Altogether there have 11 adventure attractions including Wall Climbing, Roller Glider, Go Pedal, Pump Track, Low Ropes, Trampoline, The Maze, Free Fall (Buggy Jumping), Sky Trail, Carousel and Tubby Ride. Are you ready for the challenge? Entrance fee is RM75 per entry. 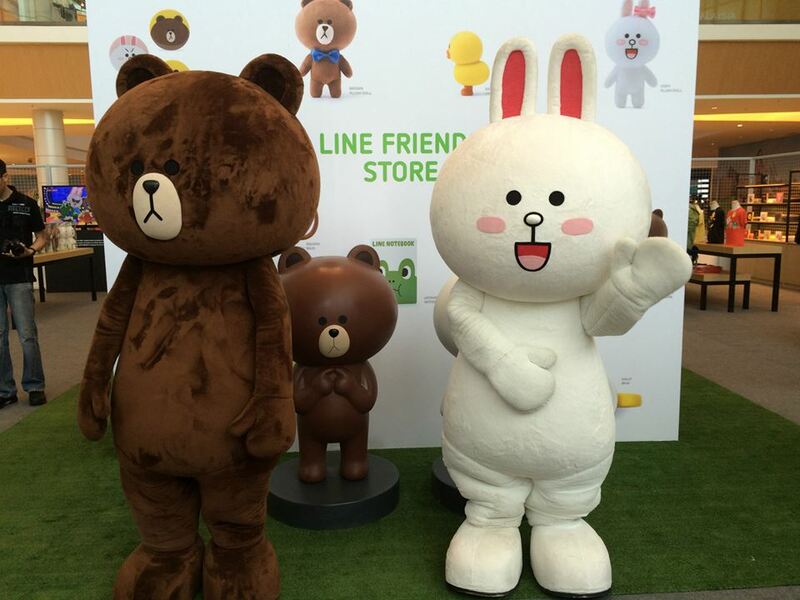 Good news for all LINE fans!! 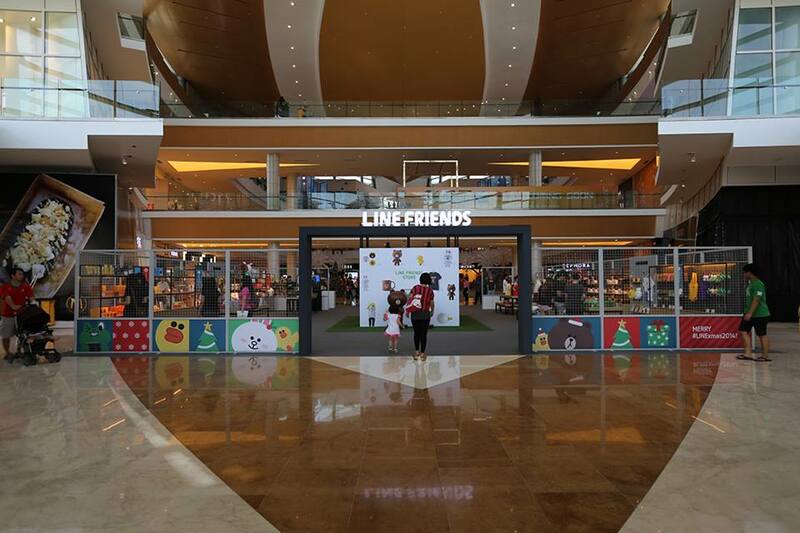 LINE Friends Pop-Up Store is officially open at IOI City Mall, Putrajaya! From 27.11.2014 ~ 02.01.2015. This is the only time you can get LINE official merchandises in Malaysia. 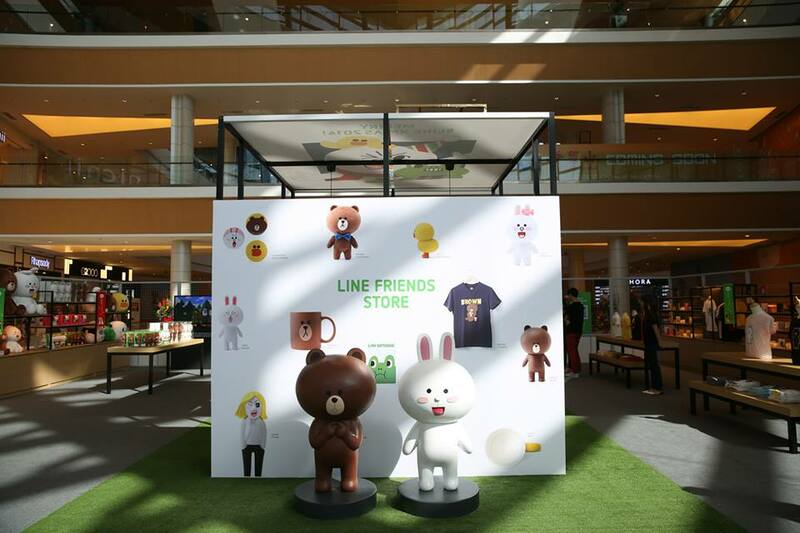 Activities, contests and events galore for #LINE fans from now till 2nd January 2015.1. 10% off for LINE users.2. LINE merchandises giveaway every Monday on LINE Event Official Account.3. #‎LINExmas2014‬ Selfie with World’s Biggest Moon and WIN LINE Couple Doll Set. Stay tuned to LINE Event everyday for more information. In IOI City Mall, you won’t have headache of thinking what to eat, the only thing is you will be confused of choosing what to eat due to the wide selection of restaurants and cafes are available here. 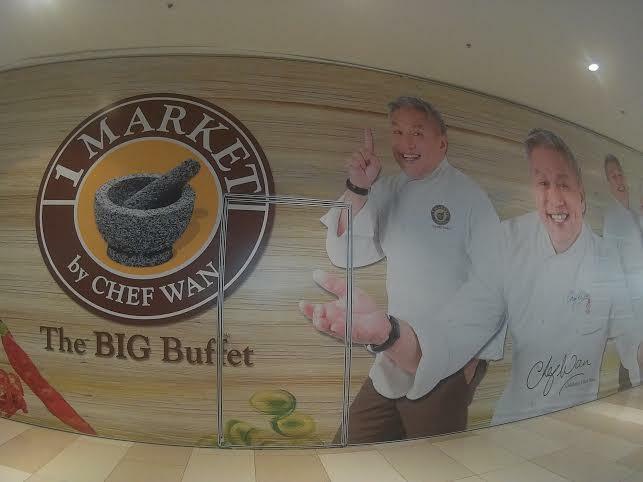 Just name a few: 1 MARKET by Chef Wan, Absolute Thai, Chatime, TINO’s PIZZA, fish and co, Johnny Rocket, Magnum Putrajaya, Pancake House International, Seoul Garden, Starbucks Coffee, Tappers Cafe, TENKA by Bentoya, Tokyo Kitchen, Fuel Shack and many more. You may also visit Food Junction (food court) too. For new visitors, i would suggest you to walk around the mall before decided what to eat. Dining restaurants are mostly located at the LG floor. I find that there are quite a number of Japanese and Korean restaurant here. 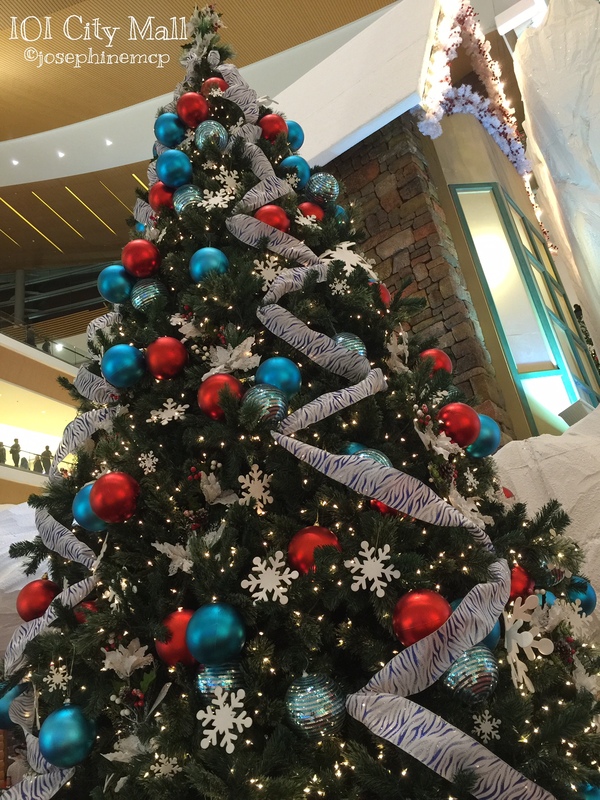 More than hundreds of fashion outlets for you to do your shopping. Just bring more cash or credit card and shop-till-you-drop! 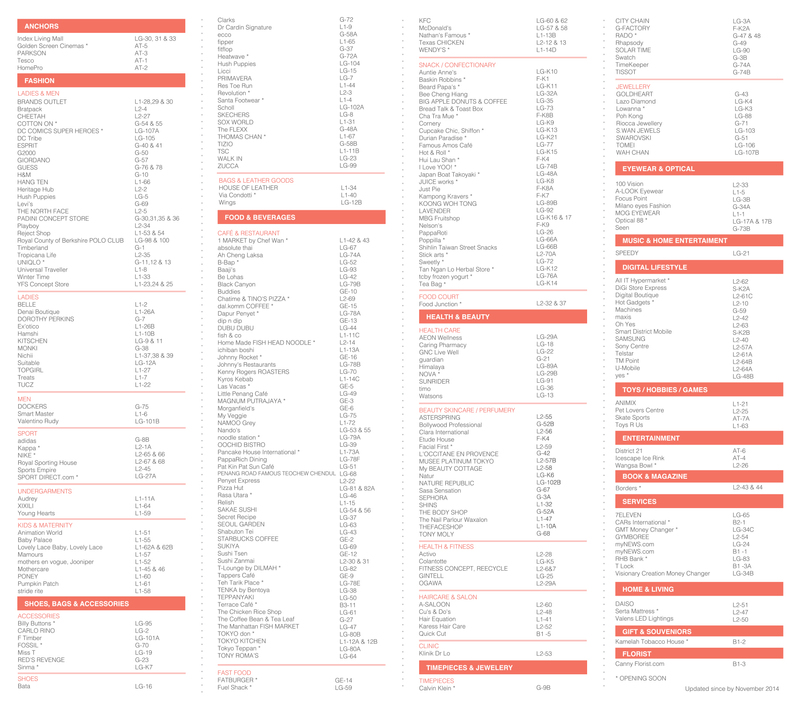 Because it’s newly opened, many brands are still having special opening promotion. So grab this opportunity and perhaps shopping for Christmas? 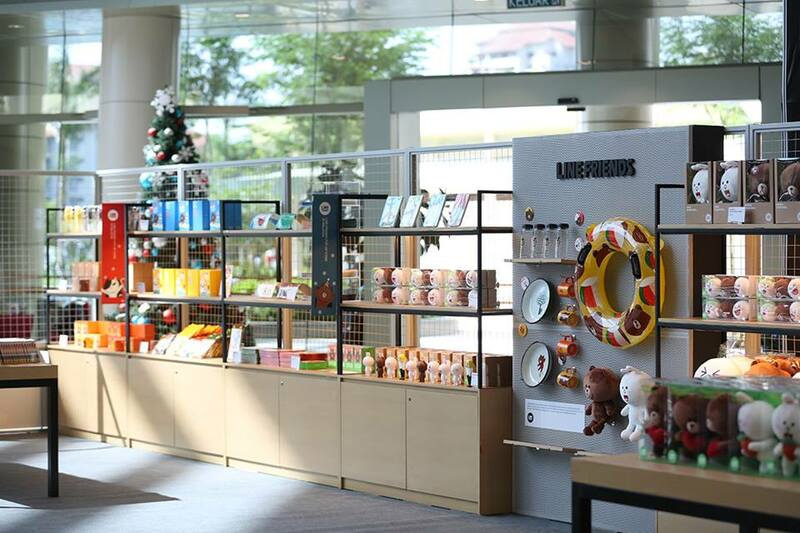 Save your time travelling to Thailand for furniture as the Thai brand, Index Living Mall has opened its first store in Malaysia via a partnership with Aeon Malaysia. The brand has 22 outlets in Thailand since its first outlet in Bangkok back in 2002. The 59,201 sq ft space features creative furniture designed by a host of international designers, offering customers a total home solution plan from bedroom furnishing to kitchen, dining and office space. Not to forget to visit HomePro too. It offers a wide range of home products which you can shop most of the products for your house included hardware, plumbing, painting, tools, building materials, lawn & garden accessories, bathroom & kitchen products, lighting, home appliances, furniture, decorative products and many more. 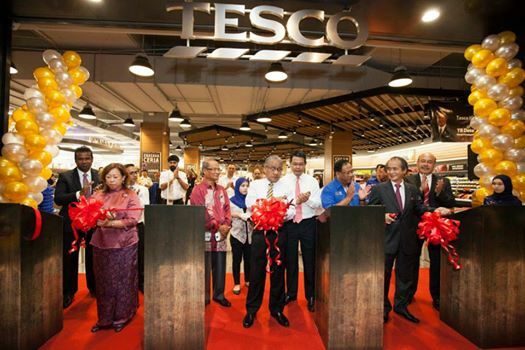 The Tesco outlet in IOI City mall looked sophisticated than its other outlets. 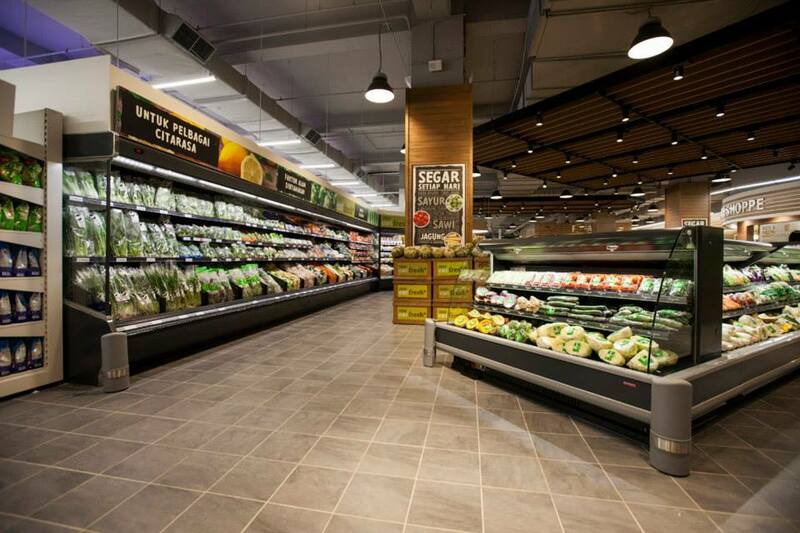 Offer a range of premium imports and locally sourced favourites from the best Australian cut meats to organic spices, fish and vegetables. GSC have not opened yet and it will be the largest cinema after Mid Valley Magamall in the federal territory upon opening with 2,350 seats. Expected to be opened early next year. 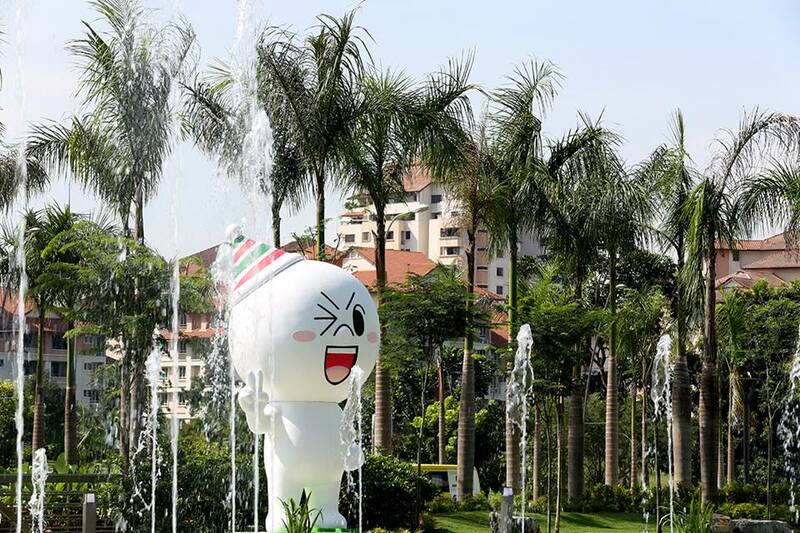 Wangsa Bowl is expected to be opened early next year. 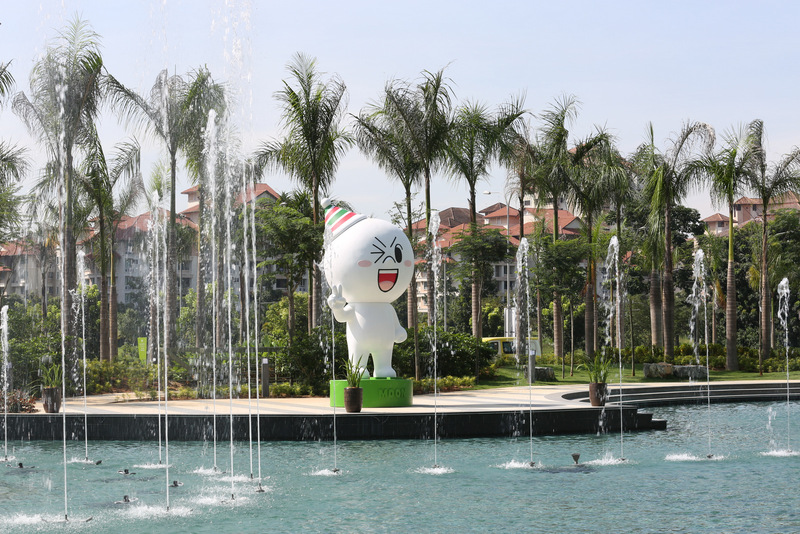 Go for some photo shoot at the Lake Symphony with the fountains at the main entrance of the mall. However, it’s advisable to hangout outside the mall during evening / night due to hot weather in daytime. 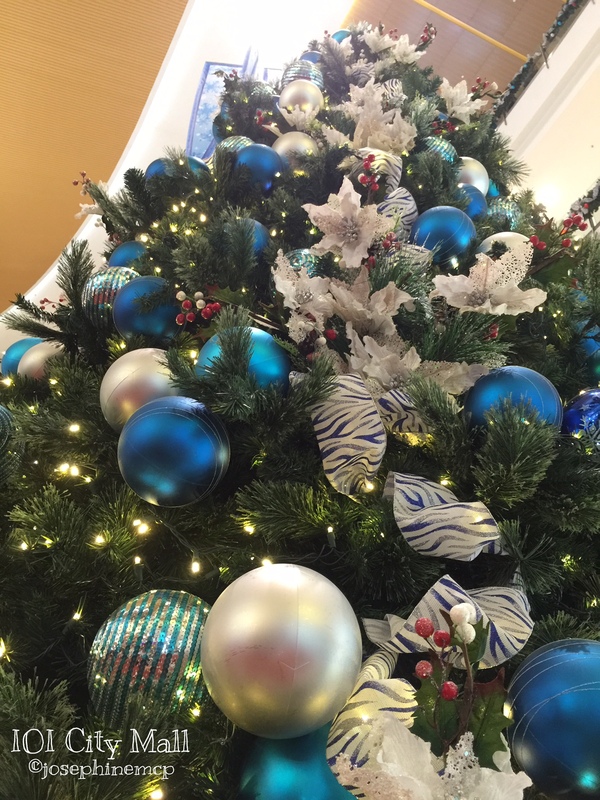 Christmas decorations in the mall. 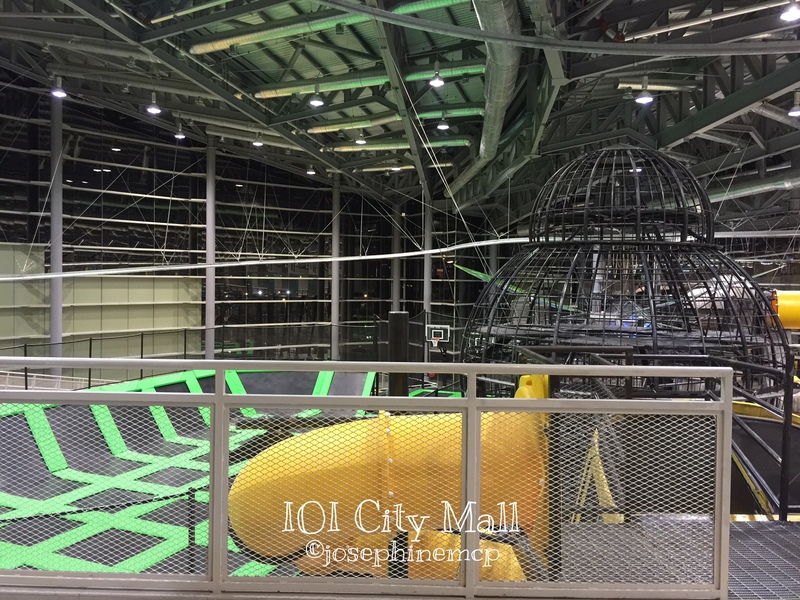 Search “IOI City Mall”. Waze navigation apps will surely able to bring you to the right destination. I was using Waze to go there too. 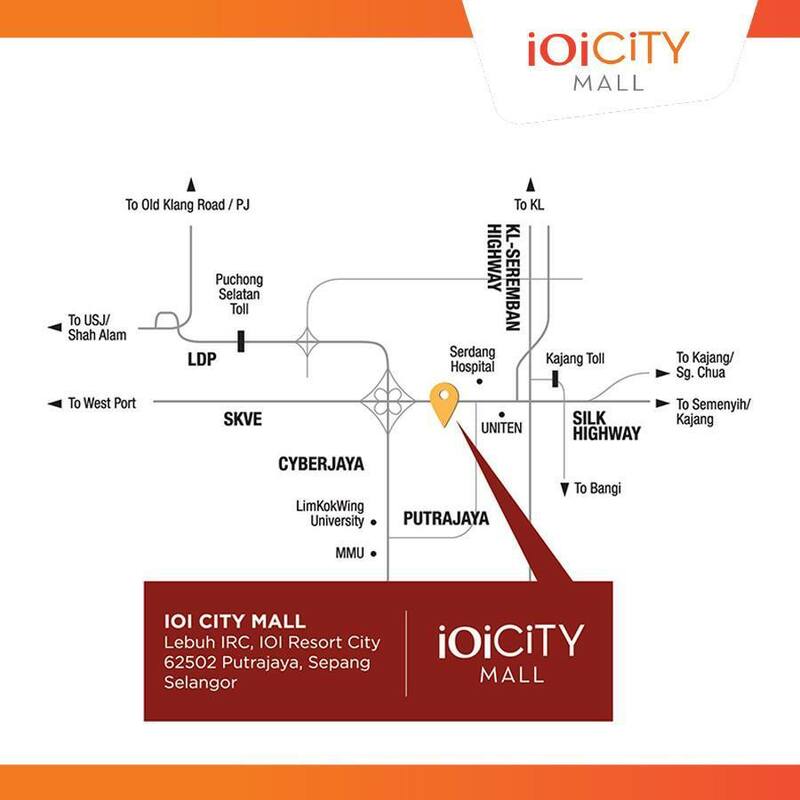 IOI City Mall is easily reachable via LDP, SKVE, Besraya, MEX, SILK and North-South Highway. 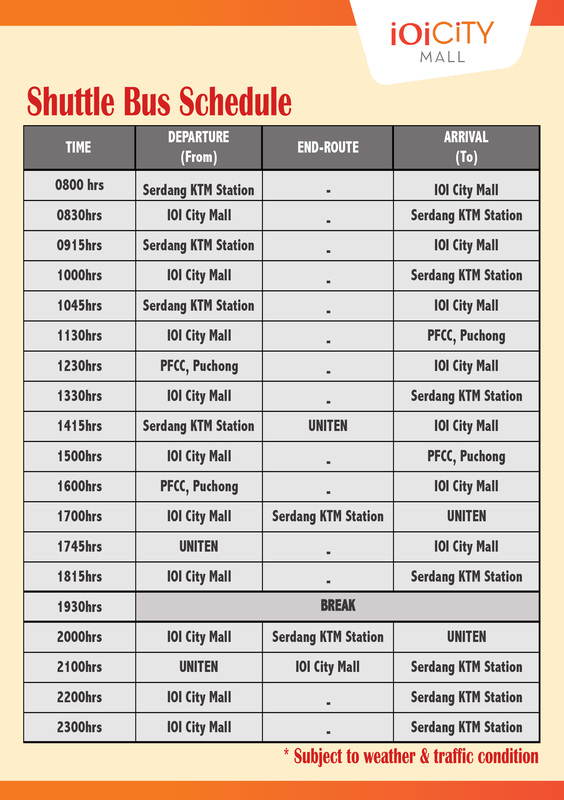 Any metered taxi from KL to Putrajaya will take only about 30 minutes and a 15minutes journey from Putrajaya Sentral to IOI City Mall. ‪‎MYTEKSI‬ users wil able to enjoy a RM15 rebate to IOI City Mall. Book a taxi with ease from your smartphone. The promo code is ‬“IOICITY”. Everything is here from dining, entertainment to home stuffs. 1) Very weak internet (no data on certain area) and telephone connection. 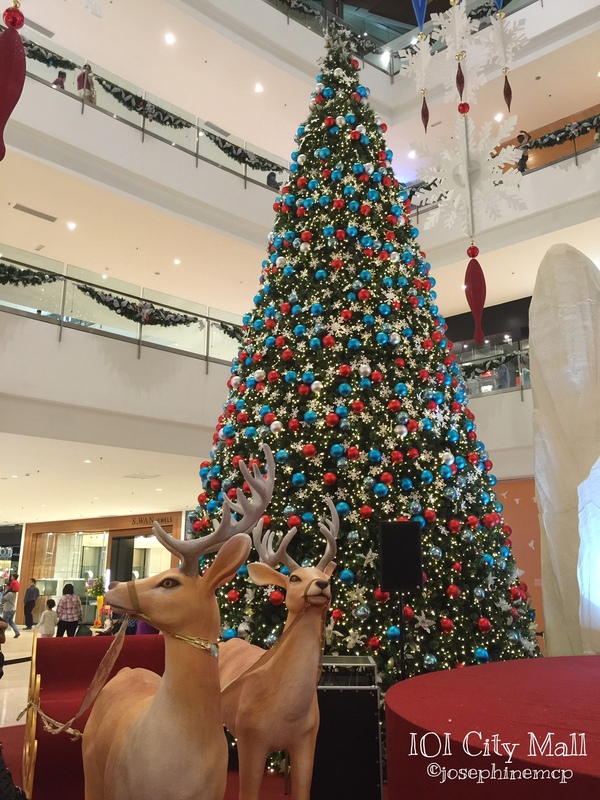 2) Lack of resting place such as bench or chair for those tired after shopping. 3) So far there is only RHB Bank ATM in IOI City Mall. Thanks for reading! Please hit the “Like” button and share with your friend, be a fans on my FB page JOJOSAYS for future blog post update. 我特别感恩及满足在我的生日里有妳 @ilsalohyx 的陪伴 ！今年我的生日愿望很简单 就是希望每年我的生日都有妳在身边陪我度过。。直到我老去为此。 在此，我也要借此机会给无论是在FB、私讯或通过电话来给予我生日祝福的家人、亲戚朋友们，我在这里感谢你们。也祝福大家身体健康，生活美满、幸福和快乐！ I feel so grateful and contented to have you @ilsalohyx accompanying me on my birthday! This year my birthday wish is very simple. I wished that every year on my birthday, you will be there to celebrate with me. . Until I get older and older and older. Also, I would like to take the opportunity to thanks my family, friends and relatives who have given me birthday wishes via FB, private message as well as phone call. I wish you all have a good health and happy life! Acyclovir Cream - A Life Saver For Cold Sores!